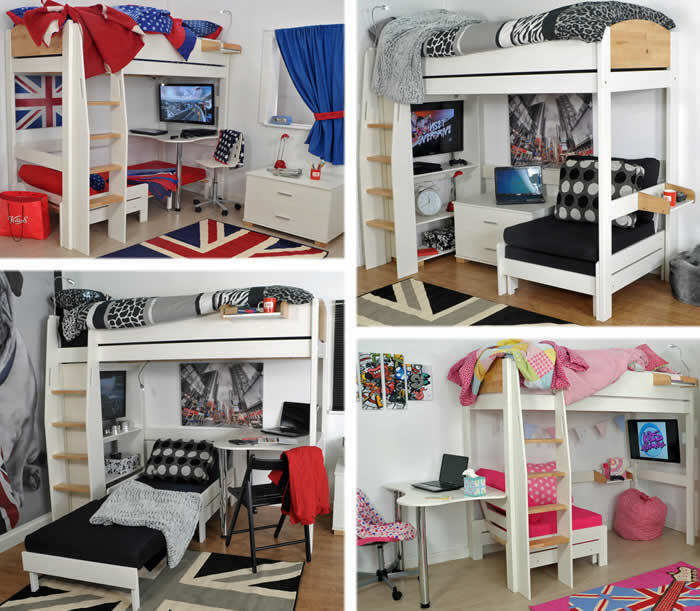 The Kids Avenue Urban High sleeper bed custom build your own system offers many options and layouts or it can simply be purchased as a standalone high sleeper frame and added to as your child's need grow. 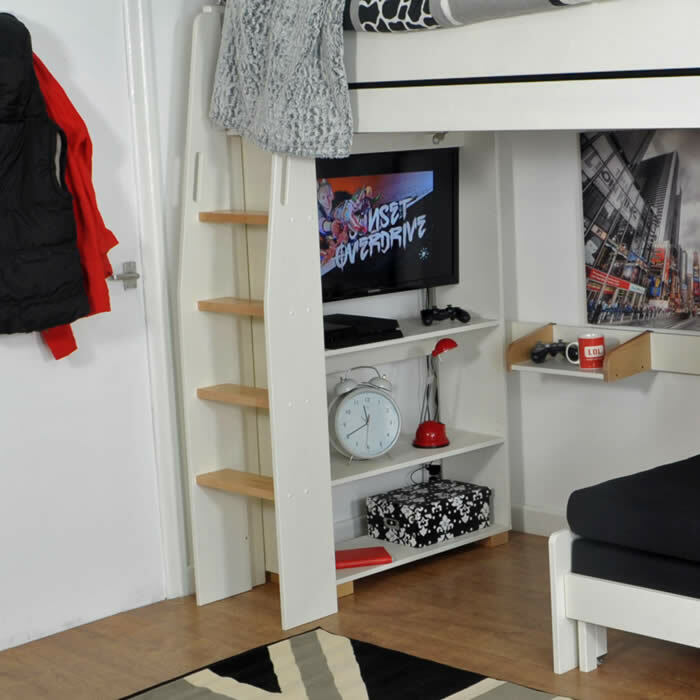 Made from solid birch and pine with a white finish the Urban high sleeper has a sturdy construction and modern design. 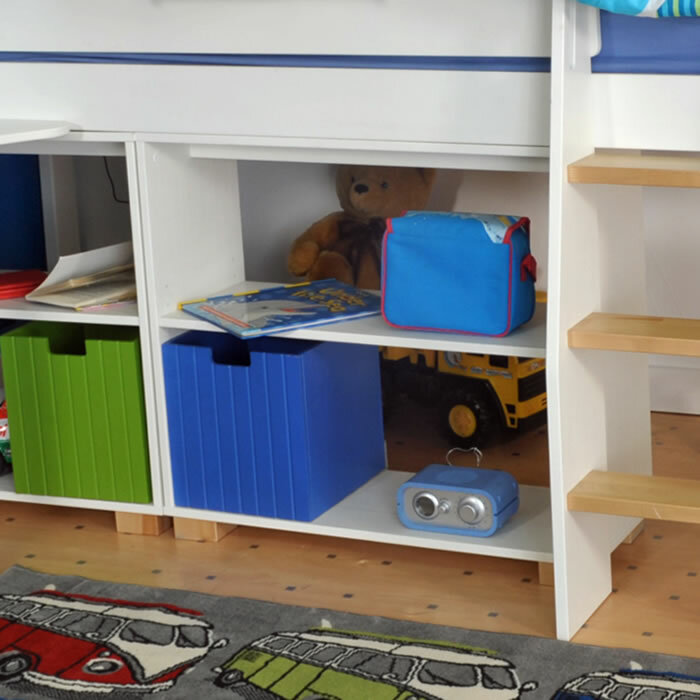 The headboard, foot-board and ladder steps are all finished in solid natural birch. 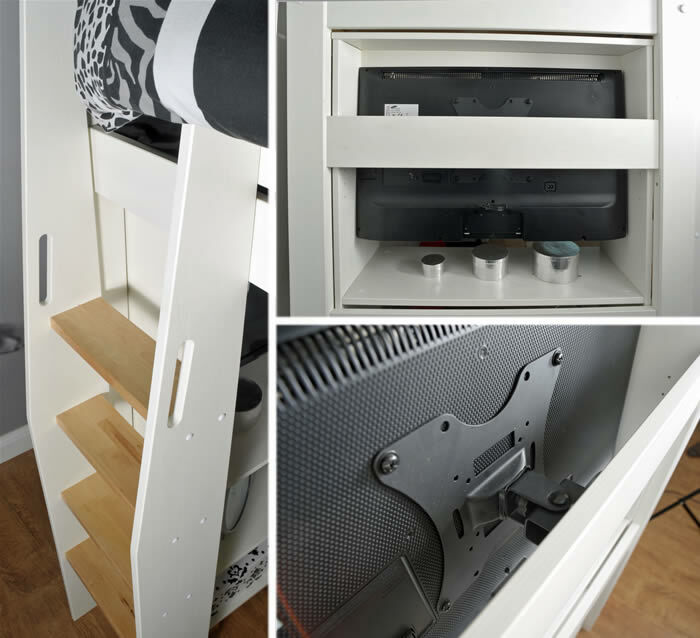 A flat screen Tv can be mounted to the special white support bar which can be positioned to the head or foot of the bed frame. Please note the Tv to support arm bracket is not supplied and would be needed to mount the TV to the bed. 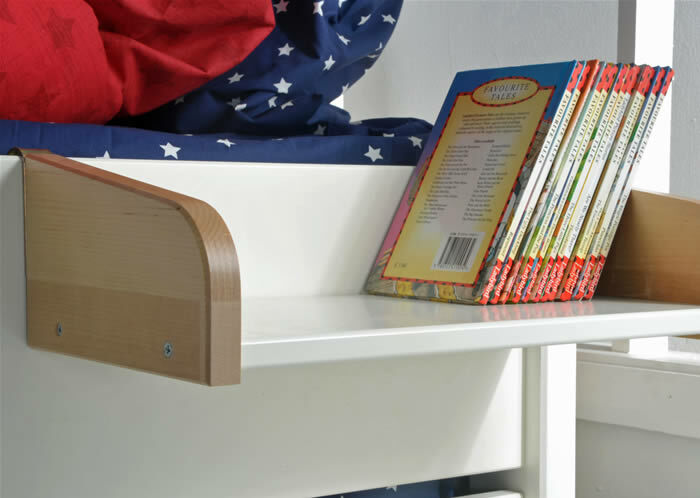 The maximum weight for the support bar is 12kg. 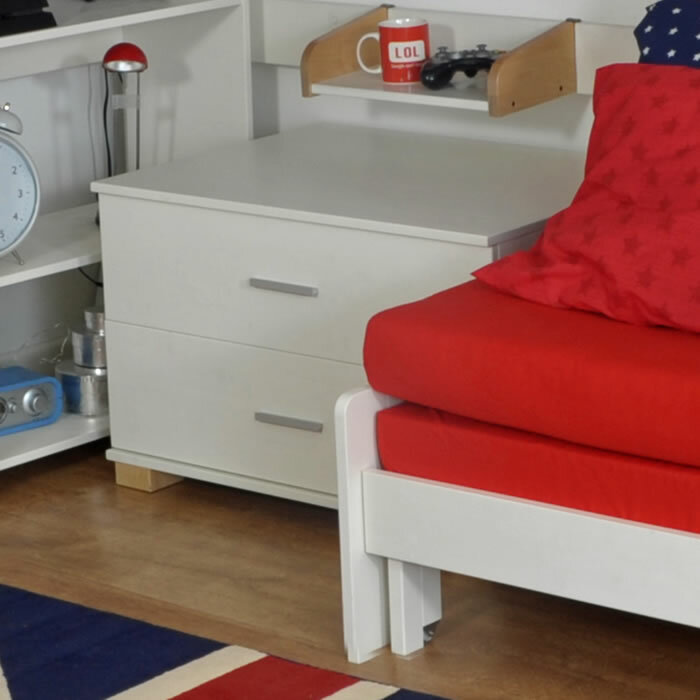 To accommodate guests and add some comfy seating to your child's room the Urban chair bed is a great solution, it can be positioned under the high sleeper frame or used as a stand alone piece of furniture around the home. The foam cushion sets are available in 3 fantastic colours including Black, Pink and Red. 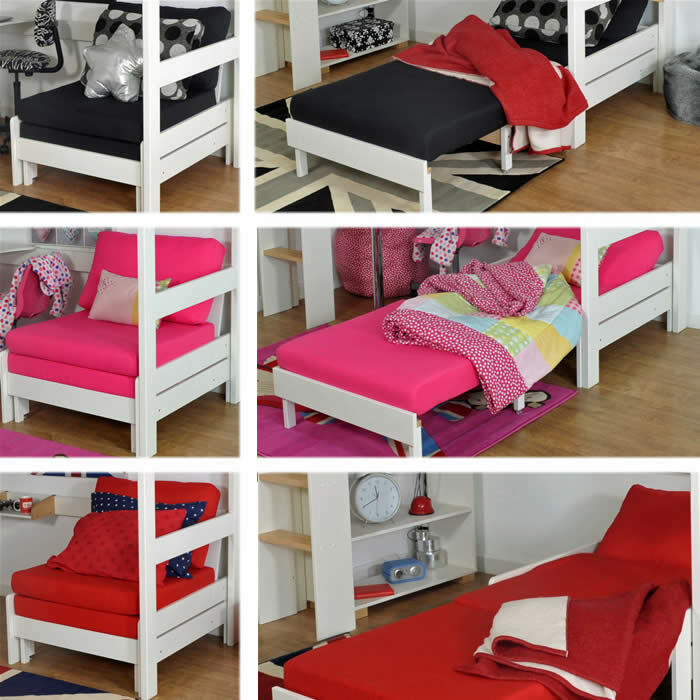 Fully extended the chair bed is 190cm long and 80cm wide. 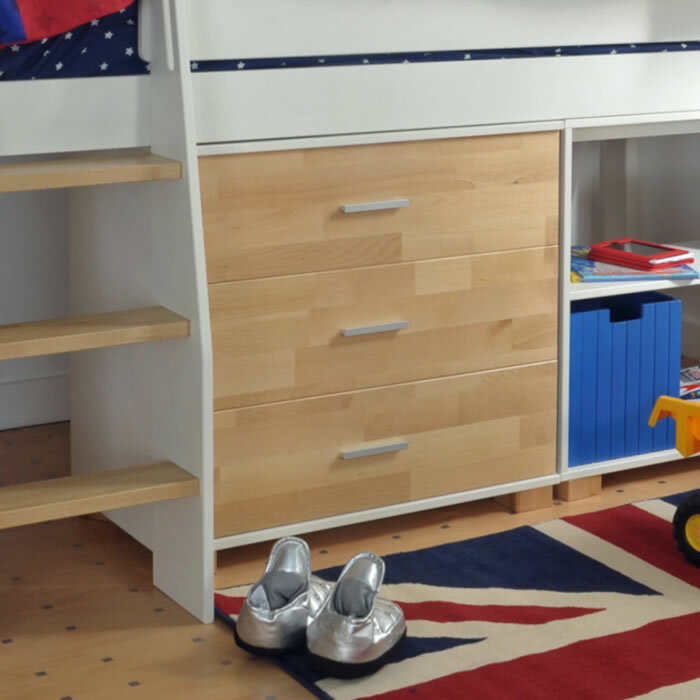 Storage options for the Urban range include low and high bookcase style shelving units, spacious chest of drawers, clip-on shelves and a 2 door wardrobe with a full width bottom drawer and hanging rail. 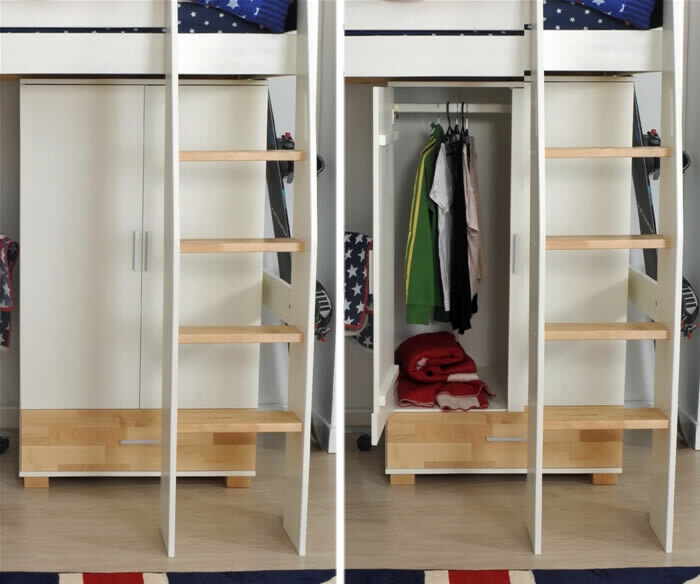 The high shelving unit, desk with 2 legs, clip-on shelf and bunky light are not included with the stand alone frame. 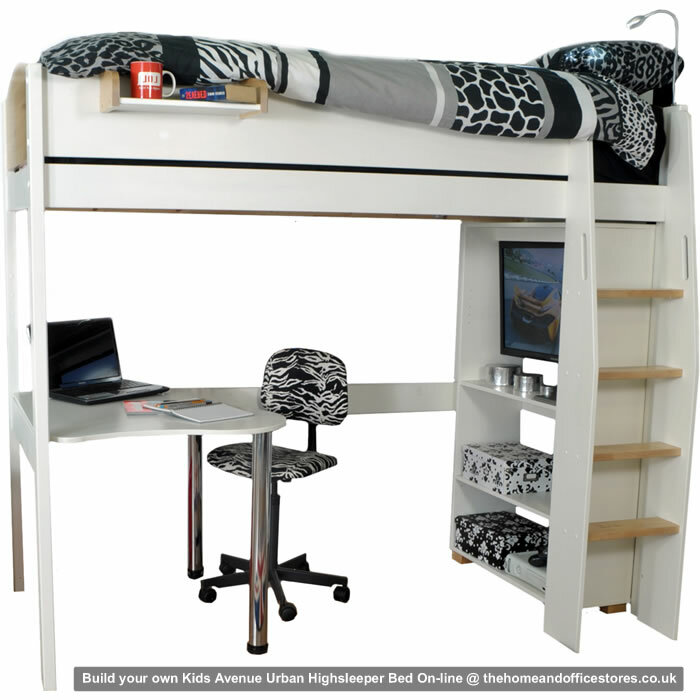 *Special Offer* - Get 1 x Free Bendy Bunk Light with all Kids Avenue Urban Highsleeper bed combinations 1 to 9.